The 2015 Lexus RX is the midsize SUV after which all competitors followed when it hit the market in 1997. Gone was the body on frame style of utility vehicle and the advent of an SUV that handles as well as a sedan and it is outfitted more in the style of a fine high-end automobile than an SUV. Lexus has maintained the stylishness and the cabin, which is clad in high quality materials, remains the marque of the Lexus RX. Rating a number two in a list of eighteen mid-size SUV’s, the 2015 Lexus RX delivers. The ride of the Lexus RX will enable you to tirelessly, put miles of road behind you. The ride is as refined and as comfortable as a family sedan. Lexus wraps the upholstery of the RX in sumptuous leather and uses high quality materials on interior surfaces. Heated, ventilated seats will require and upgrade package. You can purchase a 2015 Lexus RX in one of three trim levels. It comes as the Base model with two-wheel drive, or the Base model in all wheel drive. The F Sport model is equipped with all-wheel drive only. All models are powered with a 270 hp, V-6 that produces 248 ft. lbs. of torque. On the base models, the power is delivered to the wheels through a six-speed automatic transmission. The F Sport uses the same engine, but connects to all four wheels via an eight speed automatic transmission. Estimated mileage of the Base is 18/25 mpg, city/highway. The F Sport returns estimated mileage 18/26 mpg, city/highway. Mileage is average for this type of vehicle. 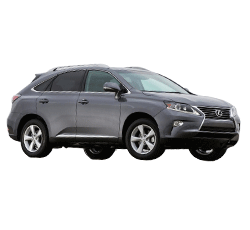 The suspension setup of the 2015 Lexus RX provides well-mannered, predictable handling along luxurious comfort. The smooth V6 and smooth shifting transmission is well isolated and provides a quiet ride. Since Lexus is Toyota’s luxury group, you get the tight construction dependability and longevity that has become the trademark of Toyota. The quality of the Lexus RX is difficult for the competition to meet, let alone surpass. 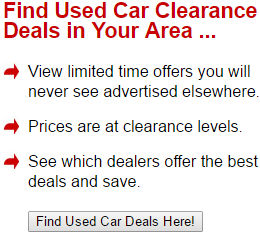 This gives you a vehicle that will retain its value over the years. Leg and headroom is spacious in both the front and rear seats of the Lexus RX, providing you and your passengers room to stretch out, making long passages for everyone more comfortable. Just because it is, a Base model doesn’t mean that is stripped of all the creature comforts. Standard are a power lift gate, rearview camera, infotainment system with a 7-inch touch screen, an audio system that drives 12 speakers. As with most new cars Bluetooth, connectivity and USB ports are standard. If you want a moon roof, heated seats, adaptive cruise control and the rear seat entertainment you will require an upgrade package. Also offered as an option, is a 15 speaker Mark Levinson sound system that will rock your world as you cruise in your 2015 Lexus RX. A rear-seat entertainment system is offered as an option to keep your rear passengers occupied on those long road trips. Standard safety features of a 2015 Lexus RX are numerous. Traction and stability control are standard as are, four-wheel antilock brakes, remote anti-theft alarm system, daytime running lights, front and rear head airbags and a passenger head restraint whiplash protection system. These systems will keep you and your passenger’s safe in the event of a mishap. When equipped with all-wheel drive and the optional frontal pre-collision warning system and blind spot monitoring, you will have a very safe and sure-footed vehicle even when the weather turns foul and the road is clogged with other travelers. The Lexus RX is not designed as a sport utility vehicle. Although it has ample power and a 0-60 time of 7.1 seconds in the quarter mile, is quite respectable, the designers of the RX had luxury in mind and spaciousness, over raw performance. Even in the F Sport trim, the handling of the Lexus RX does not have the sporty feel of some of its competitors. The Remote Touch systems controller tends to be rather quirky according to test drivers who found it to be lacking in responsiveness to user input. The closest competitors are the Acura MDX and the Mercedes M Class, both of which come with a higher price than the 2015 Lexus RX Base. The Acura MDX returns higher fuel mileage, offers seven-passenger seating and has handling that rivals that of sportier SUV’s. Equally as opulent in the cabin, the Acura MDX is a worthy rival to the Lexus RX. The Mercedes M class line of mid-size SUV’s come in at a much larger price and offer comparable powertrains, fit and finish and estimated mileage of the Lexus RX. In addition, the five-passenger Mercedes M class offers several powertrain configurations that go from the sedate 3.5-liter V6 to a twin turbo 3.0-liter that produces 392hp that should provide a few extra thrills. Why settle for one of the imposters when you can have the 2015 Lexus RX that started the trend of quiet, sedate comfort in a sport utility vehicle. The Lexus RX has been the one to beat and so far, few have met the challenge. The RX will give you a dependable, opulent, daily driver that will maintain its style for years to come.